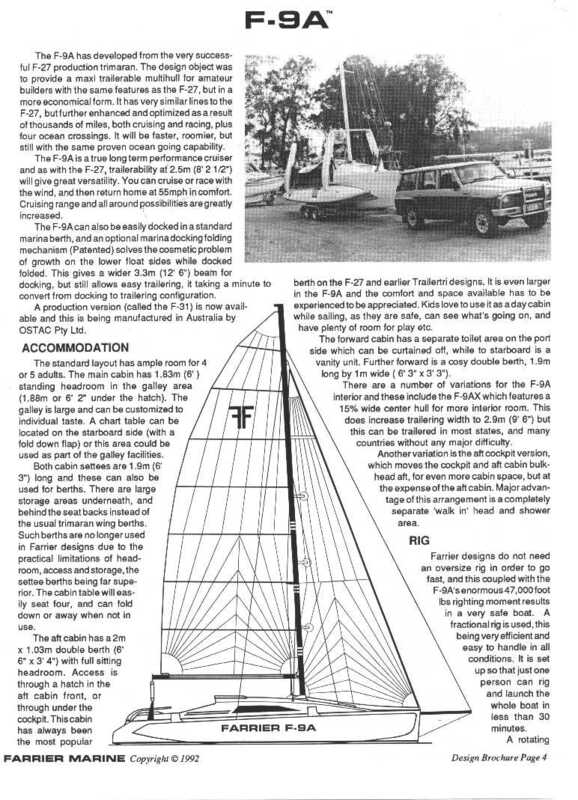 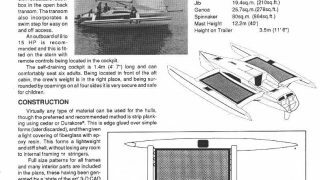 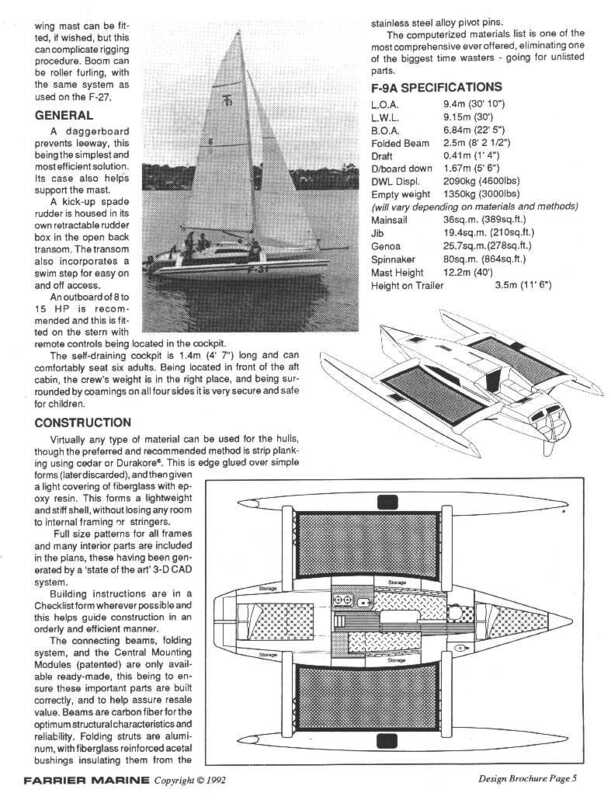 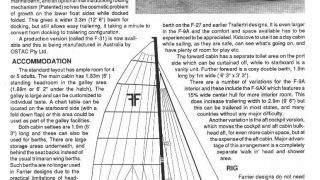 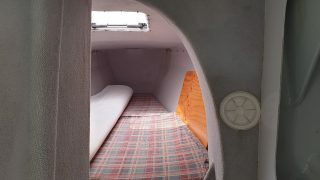 One of Ian Farrier’s classic folding trimaran designs but this one is the extra wide body version which makes it extremely popular and sort after because of all of the extra internal room it has as well as the ability to carry more load which is a must when in cruising mode. 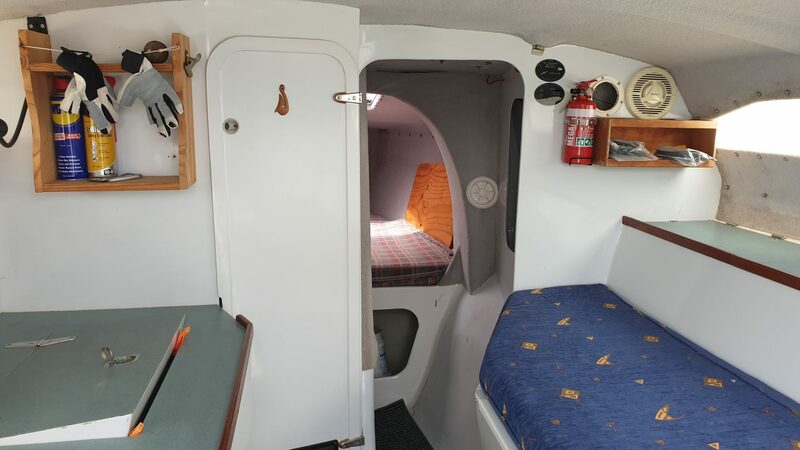 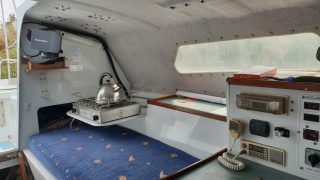 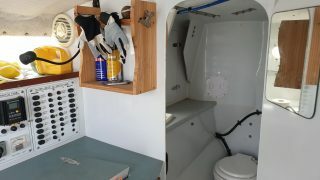 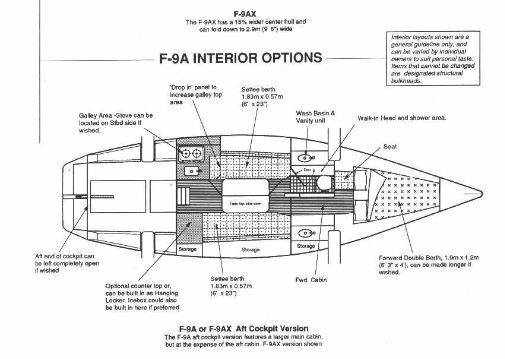 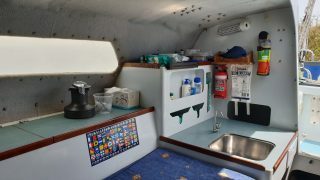 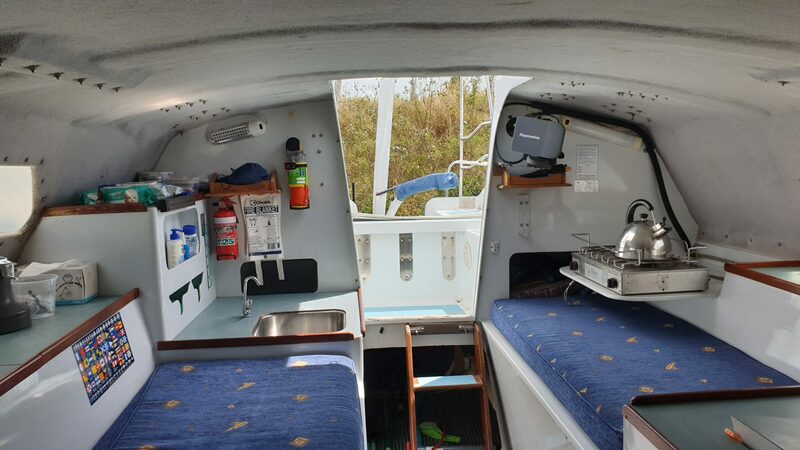 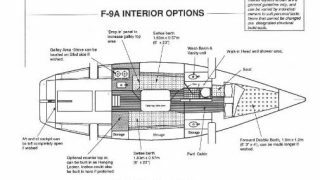 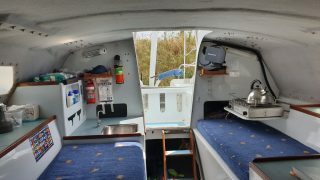 The longer and wider main cabin of the F-9AX provides space for full private facilities including galley, 1 double & 2 singles and a fully enclosed toilet. 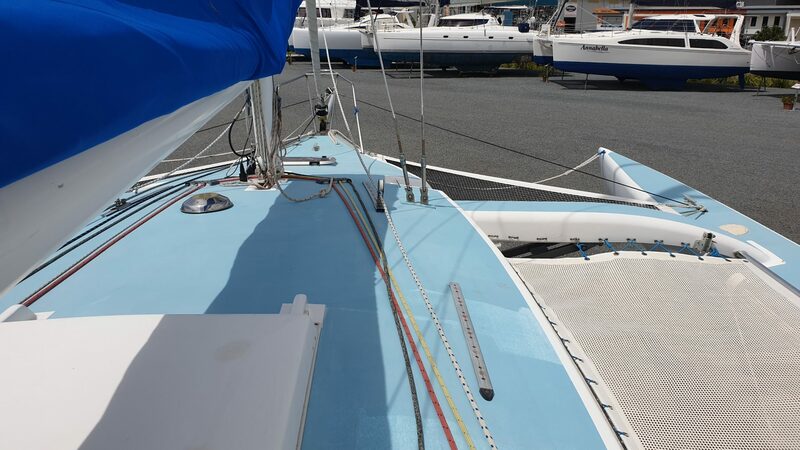 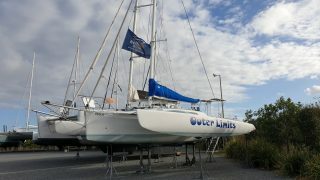 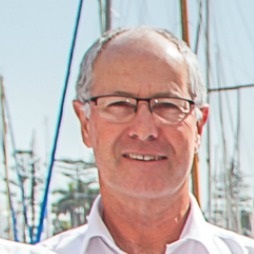 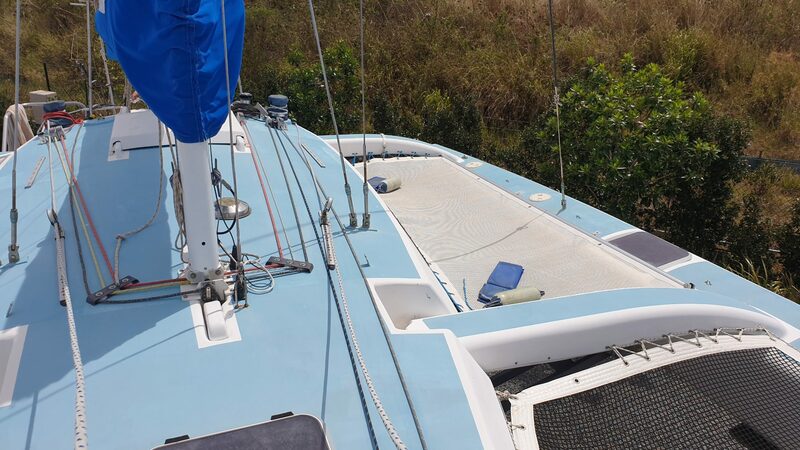 It has recently had an upgrade of sails, Very low engine hours on the 9.9 high thrust Yamaha 4 stroke. 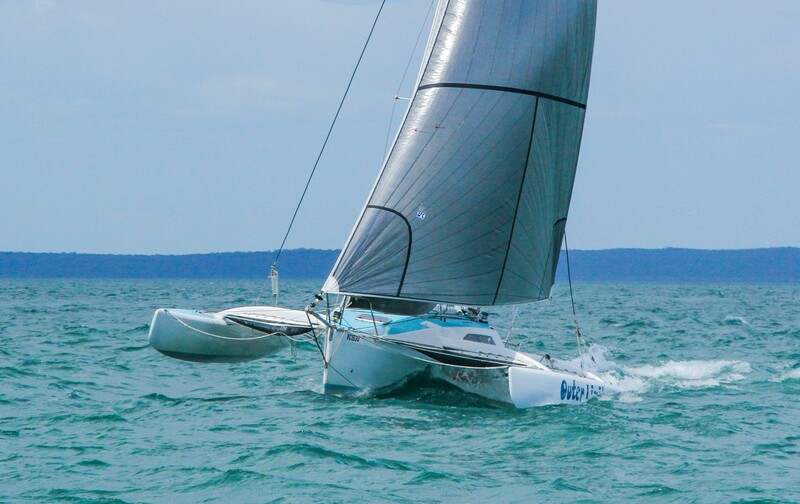 Set up for cruising or club racing with an excellent suit of quality sails. 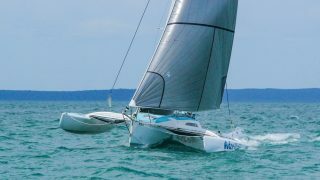 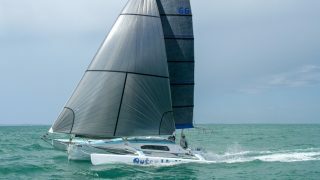 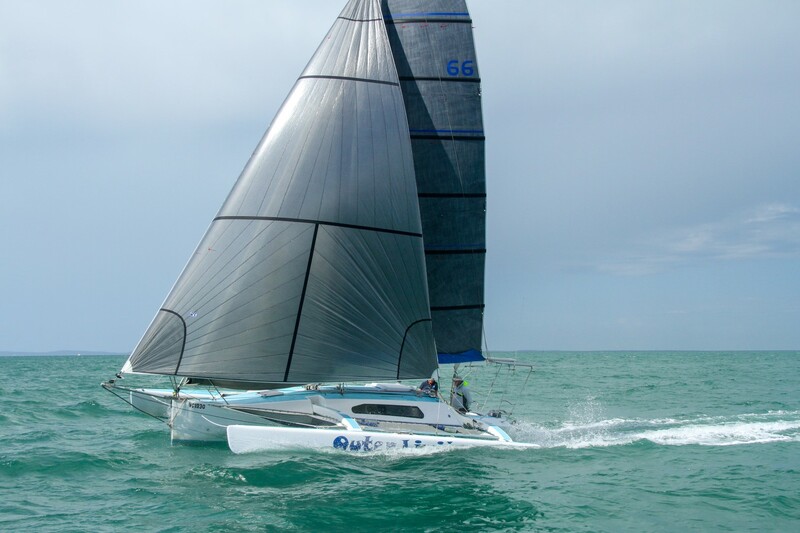 A definite must see to appreciate the quality and size of the fantastic coastal cruising trimaran.